Encourage grade-perfect practice tests with problem-by-problem strategies and tips that help students build their test-taking skills and boost their scores! 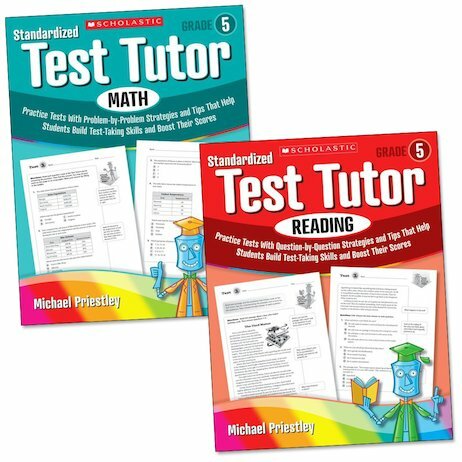 Students can work through the tests with a teacher, parent or tutor, or on their own by reading the Test Tutor’s helpful tips. A detailed answer key identifies correct responses and explains why the other choices are wrong – ideal for boosting confidence and results! This pair of books focuses on the core areas of reading and math at Grade 5.